Background: McHenry started the job in 2004 but has been with the university since 1995, when it was called Tri-State University. 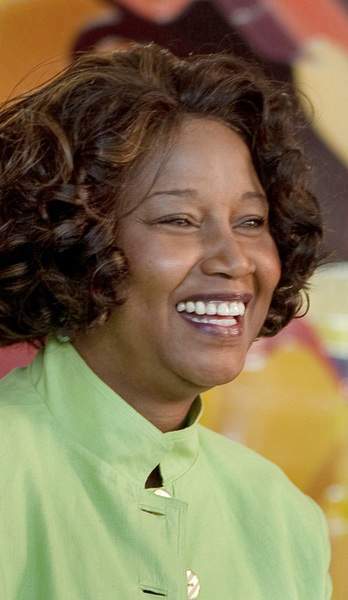 She had been interested in the education field and connected with the university through some of its annual Dr. Martin Luther King Jr. programs. She started as associate director of student activities, overseeing housing, the residence halls and activities. She was employed at the Steuben County prosecutor's office as an administrator before joining the university. She laughs when asked whether “executive director of student success and retention and student and parent advocate” is one job or two. It's one, she said. And while it incorporates significant responsibility, McHenry is humble about the role, suggesting that colleagues work just as hard. “Many of us wear more than one hat,” she said. McHenry seems to love it, sensing the value of the guidance she gives. “I often phrase it by saying 'I save the children,'” McHenry said during a telephone interview at the end of the spring semester. Working with a committee, McHenry helps collect and track data on why some students stay at Trine and some decide to leave. She communicates regularly with parents of students, addressing concerns. She provides a listening ear to students, some of whom seek her out and some of whom she's led to when a professor alerts her to a potential problem. When students are at risk of not succeeding, McHenry tries to steer them to programs that may help. Sometimes the problem could be personal. Other times it could be academic. There are times when it's financial. Trine has an emergency “Textbooks and Beyond” fund that, depending on the situation, can assist students in a bind. “I always tease the students and say 'I'm not going to give you a gas card just because you want to go home for the weekend,' but if there's a death in the family and they need, we can use it that way,” McHenry said. McHenry estimates she has direct communication – in person or by phone – with 10 to 15 students each week. At times, such as mid-term and the beginning of a semester, the volume peaks and “it's really hopping,” she said. She has an administrative assistant. With some students, it takes more than one interaction to reach resolution on a problem. Occasionally, McHenry – who talks about cross-campus engagement – refers a student to a university counselor. The most challenging part of the job is when McHenry discovers a student is struggling, but she wasn't immediately aware and wishes she could have reached out sooner. McHenry joined the university in the mid-'90s, when it was called Tri-State. While she won't disclose her specific age, only acknowledging she's in her 60s, McHenry isn't focused on retirement anytime soon.